The Sydney Fungal Studies Group (SFSGI) www.sydneyfungalstudies.org.au/ and WCPS are again collaborating on a fungal field study in the Wolli Creek Valley on Saturday 7th April. Location: the picnic tables (near the toilets) at Girrahween Park, Earlwood. Participants will need to sign in, and receive a safety briefing, so need to arrive on time. The field study will commence promptly at 10 am. 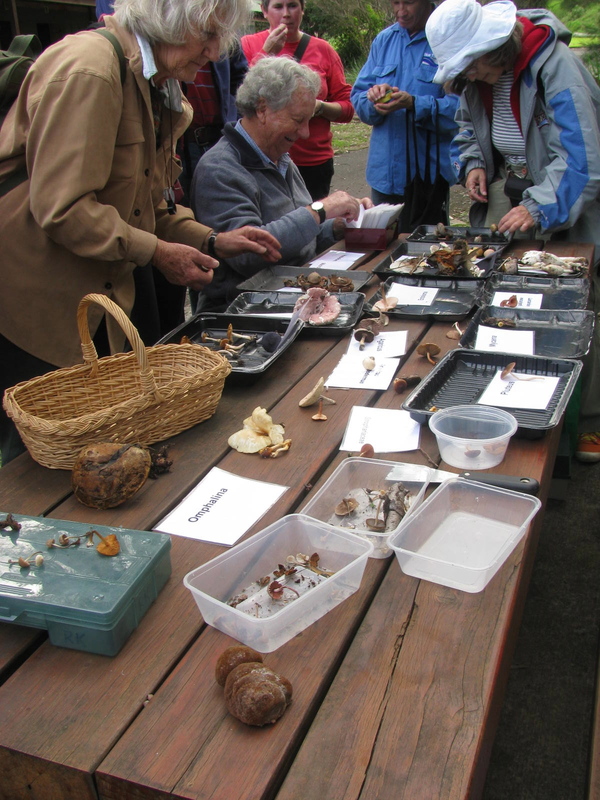 Experienced and licensed members of the SFSG will lead the search for specimens. There will be a lunch period from approx. 12 to 12.30, followed by identification of specimens until approx 2 pm. For the foray, please wear sturdy shoes. A hat and water are also advisable. It will help with collecting if you are able to bring some plastic containers such as those used for food packaging and take-away food, or plastic containers with divisions (eg those used for fishing or hardware items). A basket is also useful to contain these. You may join us just for the collecting part from 9.50 am till about 12 pm, or stay for longer to listen in on the discussions around the specimens, and to ask questions. If staying for longer, please bring some lunch and a drink for yourself. The Girrahween toilets will be available for use. Light rain will not stop the event. If it’s raining heavily on the day, please call the survey co-ordinator on the day (David) on 0416 230 170 to find out if the field study has been cancelled.